Convert Acumatica to QuickBooks is not the easiest do-it-yourself project for businesses to handle. DL & Associates have trusted engineers and programmers who have over 15+ years of software and data analysis experience, plus over 25+ years of QuickBooks experience. 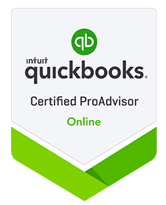 With this experience, when we import your data into QuickBooks, it is set up properly from the start. An implementation from one software to another will never be an overnight task, since there are many factors that need to be taken into consideration: Customer List, Vendor List, Inventory List, Costs, Average costs, Chart of Accounts, Accounts Receivable, etc. It is important to have a trusted team assist you and your business with converting your financial data from an ERP system. DL & Associates has over 25 years of implementation and service start-up experience. The team of engineers, programmers, and QuickBooks ProAdvisors work side-by-side with each business to convert Acumatica to QuickBooks software with ease.